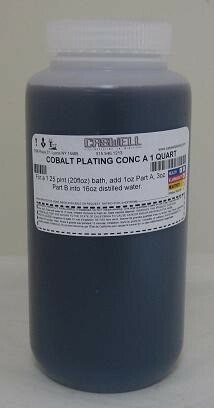 Caswell Electroless Kits are available for Nickel, Cobalt, Tin, Boron Nitride Nickel and Teflon Nickel. They do not require rectifiers, but they do require heating to approx 195 deg F. To accomplish this, we provide enamel lined tanks to place over a hotplate. 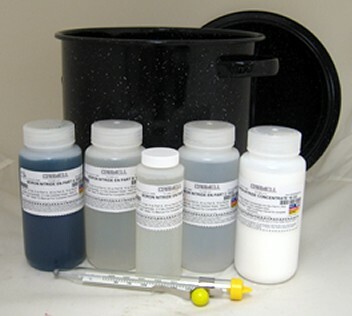 Mix Chemicals Into Included Glass Lined Tank, and place on stove top or hot plate. Even & Uniform Layer, Inside Tubes, Corners etc.